Haas originated with Gabriel Cerre of St. Louis, Missouri in the 1800’s. According to Beach (1905), it was widely disseminated throughout the Midwest and Southwest where it was recognized as one of the hardiest American apples. 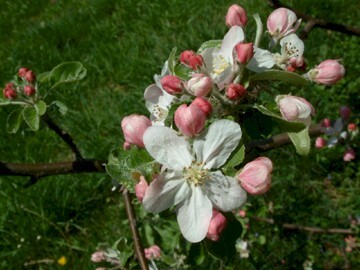 It has occasionally been confused with Horse apple, but the two are distinctly different varieties. Horse is a greenish-yellow apple ripening July to August while Haas is a red apple ripening in September or later. 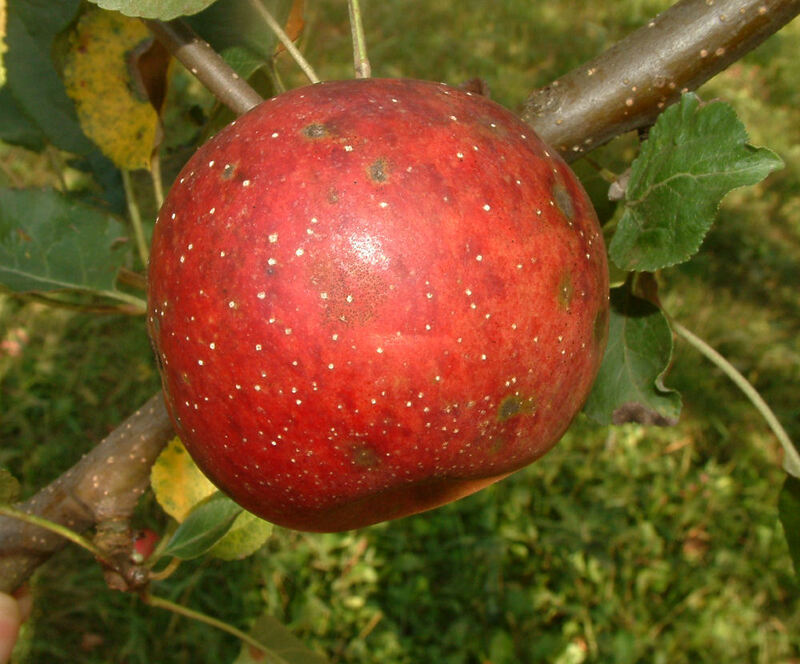 Fruit is medium to large and somewhat ribbed with smooth yellow skin mottled and washed with bright red and carmine and covered with large whitish dots or lenticels . The firm, juicy, aromatic white flesh is often stained with red. Ripens September to October.